The Black Edition comes equipped with a longer, thinner 3mm chassis. The longer chassis, with a more forward weight bias improved the handling in bumps and interestingly through corners too. The thinner chassis just makes the car more forgiving, specially on difficult inconsistent tracks. The rear brace is now long, and machined out of aluminum. The longer brace stops the thinner chassis from flexing too much. Because they raised the diffs by inserting a carbon plate between the gearbox and the chassis, they had to make updated towers and arm holders, in order to maintain the same geometry, and for the net effect to be a higher diff. The arm holders essentially produce identical geometry to the WE LV. However the towers are different. It is now possible to stand the shocks up more than before. Also the front link now has one lower hole. There is also an updated body, a more modern and universally liked design. A beautiful car is faster! JQ designed and produced the body in collaboration with Bittydesign, the excellent Italian company, who also arrange Bittydesign Contest races around the world. When you buy a JQRacing car, you don’t just buy an RC Car, you join a worldwide community, THECommunity. You not only get a great product, you get the best after sale support available. 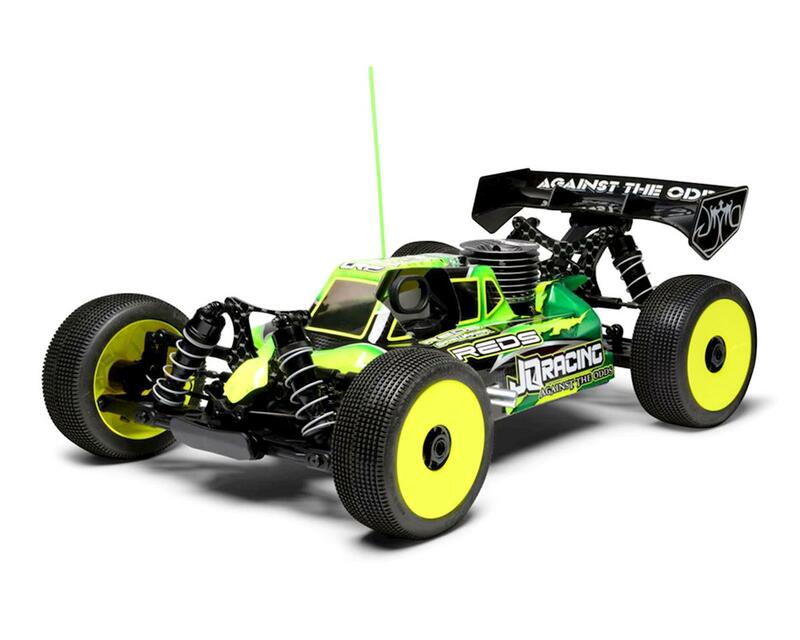 Well balanced, light, improved performance and a super easy to set up buggy! plus all the small details that makes this kit a really competitive racing buggy! Super nice buggy. Easy to drive fast and good quality. I recommend you try one. Amazing buggy. Wish I had a reason to buy and build a new kit, this would be it!! !